Boston Wedding Planner Contagious Events: Real People. Real Weddings. 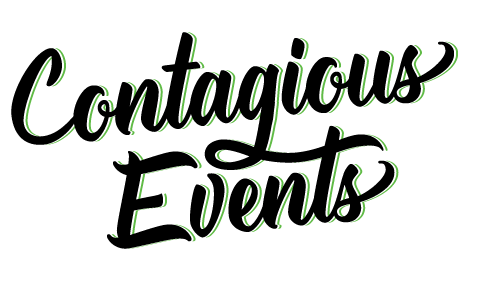 We are Contagious Events: Boston Wedding Planners specializing in unique weddings for fun-loving couples who are too extraordinary for a cookie-cutter wedding day. With a passion for creating memories, we will help design and orchestrate the event you’ve always dreamed of. Not planning a wedding? No problem! We love planning all kinds of events, for all kinds of people. It’s official. You’re finally engaged (with the ring to prove it). You’ve been waiting for this moment long enough and now that the urge to yell “I’m engaged” from atop Fenway’s Green Monster has started to subside, it’s time to start planning. You started planning and already have the big stuff (caterer, venue) taken care of... but let's face it: you've never planned a wedding before- it's time to bring in a pro to take care of all the details. This package is the solution for anyone in need of something in between full planning and month of coordination. Sometimes mom ends up being the director, the florist and the planner. She tells guests where to sit, the wedding party when to walk down the aisle, and she might even make her debut as a DJ. It might work for some weddings. But not yours. Oh boy! You’ve just got engaged- what now? If you did a face palm when you realized that you’ve got a wedding to plan, but you’re completely clueless on where to even start, then Happy Hour is your knight in shining armor. You bring the questions, we’ll provide the answers.